I was there. I experienced liberal theology’s social gospel and social justice ideas more than 45 years ago. It was at the Presbyterian Church in the U.S. (PCUS; Southern Presbyterians) Synod meeting in Charlotte, NC, in 1973. The speakers and attendees said things that sounded biblical at first, things like “the church is the body of Christ … we are the example of Christ to the world … Christ in us must be lived out in the world through social justice.” Many desired that the PCUS unite with the liberal UPCUSA, the Northern Presbyterians. They rightly argued for equal “civil rights” but also for backing liberation theology in El Salvador, the Black Panther Movement in America, and Angela Davis, etc. Little did I know at the time that the Northern Presbyterians already had funneled some defense funds to the Black Panthers’ and Angela Davis’ trials. Their idea of becoming a Christian was like Rudolf Bultmann’s “Christ” experience of enlightenment against all forms of prejudice and bigotry against others. To him, believing the facts of Christ’s death and resurrection were optional. To him, believing in Christ was to have a crisis of “enlightenment” or “awakening” over racial and cultural prejudices (the “Christ” experience) to emulate Christ to the world. I had studied liberal theology at Reformed Theological Seminary (M. Div. ’74), but now these views had real faces on them. Some argued for women elders, gay marriage, and social justice reparations. I was quite taken aback that those who professed to hold to the Westminster Confession of Faith held these views. I asked myself: “How can we be united together with Christ if we have such views?” The PCA was just beginning to form at that time, and part of its reason for forming was a reaction to this liberal form of social justice. Now I am astonished to see some “conservative” Presbyterians adopting such views. I saw another face of liberalism in 1977 when I returned to the Baptist fold. I met with the Alabama (SBC) official involved in recommending pastors to churches. He asked me why I went to RTS instead of an SBC seminary like Southern. I told him that I was an inerrantist and felt Southern Seminary was too liberal. He then said, “Then, there is no place in the SBC for you if you cannot fully support all the programs.” This was the covert liberalism of the SBC at that time which opposed biblical inerrantists. Of course, by God’s grace, Dr. Al Mohler was used of God to expose and remove liberal theology from SBTS in the 1990’s…for which I thank the Lord. It is no secret now that liberal theology had led to unbiblical social justice ideas at SBTS. In 1988, I met another face of liberalism in a TCU doctoral seminar required for my PhD. This was a highly respected professor among liberals from the Disciples of Christ (Christian). He was a very nice man and cordial to me. After reviewing various hermeneutical approaches to the New Testament, however, he advocated “reader-response criticism.” His particular hermeneutical approach had elements of Rudolf Bultmann’s existential “Christ” experience and Karl Barth’s idea of finding “truth” in the Scriptures only when we “experience” God’s Word. To Barth, the Bible contained truth, but it only became true when the individual experienced something upon hearing the Bible. As one reads the text of the Bible, the reader has a response to its words, and that response is its meaning. This subjective experience with the Bible, then, becomes the actual “truth” to live by. Reader Response Criticism cares not for the historical biblical texts’ truthfulness. Truth is what you “feel” while reading the “story” in the text. What is “true” to me may not be “true” to you. But if you do not agree with my “truth” about social justice issues, then you are sinning. Starting to sound familiar? So, you can imagine my horror when I discovered that some speakers and writers in the current Social Justice Movement have begun to sound like my past experiences with liberal, modernist and post-modernist views. My problem with today’s “conservative” social justice writers and speakers is that they exhibit the same faults in biblical hermeneutics and exegesis as did the liberals I encountered in the past. For instance, they both use the Parable of the Good Samaritan to justify the churches’ responsibility to administer social justice to the poor and oppressed (Luke 10:25-37). The only problem is that the text explains that Jesus was defining “who is my neighbor” to an individual, a Jewish lawyer. Jesus’ answer was the picture of a Samaritan individual who providentially comes upon a robbed and beaten Jew (racial and religious taboos). A Jewish priest and a Levite already had passed him by. So, the Samaritan goes out of his way and uses his own money to take care of him at an inn … one person to one person. Our Lord concluded ironically that the Jew was the Samaritan’s neighbor; and he loved him as himself. He told the lawyer to go and do likewise. Surely this was offensive to the lawyer, giving him the example of a good Samaritan for him to emulate! This is certainly a call for individuals to keep the second great commandment to other needy individuals whose path they cross. Since the lawyer was not a church being instructed by Jesus, the only thing we can rightly apply from this parable is that God holds all men accountable to His Law to love the people they encounter, especially those in trial and have the ability to help. It certainly has implications for the racial differences between the Jew and the Samaritan, but it is not a doctrine of Social Justice to the organized church to seek out the oppressed and to take care of them and to fulfill their physical and social needs. Nor did Jesus call the Jewish lawyer to make reparations to all Samaritans because he hated them as a class. There is no such command or example of the church doing so in the NT. The parable is a call for the Christian to help others in need as their neighbors whom God has providentially brought into their path, regardless of race or creed. We must love our neighbor as we would wish to be loved. For proponents of Social Justice to use the Scriptures sloppily for their “reader-response” applications makes no headway with those whom they are either trying to reach or to criticize. A recent article was a travesty of biblical interpretation. It misused Zacchaeus’ benevolent giving to the poor and biblical restitutions to particular individuals whom he cheated, to bring guilt upon “white Baptists” as a class to provide reparations to the black community (black Baptists?). This article unbiblically calls “white Baptists” to view modern-day apostles and prophets of social justice at the same level of authority to the biblical prophets and apostles. That is staggering and absurd. Scripture alone is the Word of God for our conscience today. Scripture alone is the authority for any kind of “good works” we are called to do. Scripture alone defines what is the mission of the church for today, not “reader-response” feelings which are not based upon biblical hermeneutics and applications. 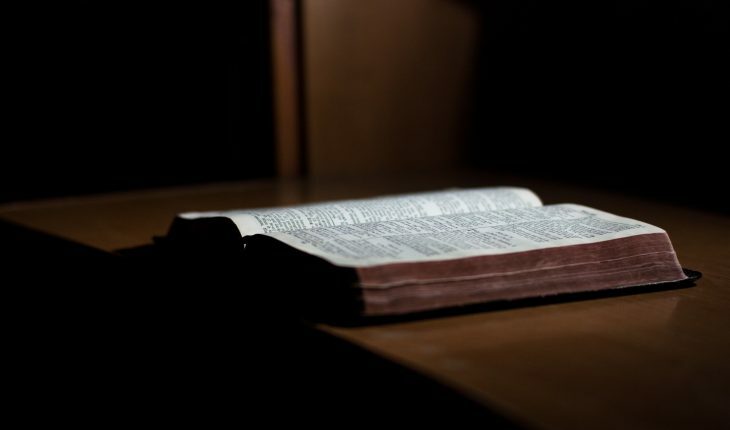 What may seem to be a “logical consequence” of the Scripture you read may be so affected by one’s own feelings and tradition that you have moved yourself, and desire to move others, beyond the authority and sufficiency of Scripture alone. This error reaches the level of an unfettered subjective allegorical interpretation of Scripture. If our Social Justice brothers sincerely wish to engage other Bible believers with their applications of Scripture, they need to remind themselves that the Reformation’s “formal principle” was Sola Scriptura, the Bible’s final authority and sufficiency for all matters of faith and practice, not new revelations of new “prophets” of the “reader-response” mind! When will some of the “new” theologians of the Social Justice movement ask themselves: “Is this really what the Scripture says in the text? … Is my logical extension within the bounds of Scripture Alone?” And when will they answer those who challenge their conclusions with the biblical hermeneutic and exegesis which was the unifying power of the Reformation and the foundation of historical Baptists? I hope to see you in Louisville, Kentucky, on May 14-16, as we seek to examine and sort out the heart of the gospel and the mission of the church in these new (but really old) challenges. While I currently work as a web designer, and despite receiving training in another area of the computer field (network administration, for those who may be interested), my most significant training was in history. It was history that I studied while in college and it is, in many ways, still my first love. In the eight or ten years since I completed college I have continued to read in history, and in particular, in church history. Over the past few days I have been working my way through the first volume of The Baker History of the Church. It is a little bit intimidating to find myself only a few chapters into a five-volume set and this has caused me to step back and consider the importance of the study of history. This morning, as I read about the first-century church, I was struck by the blessedness of living in our generation. As I study the very early Christians I begin to see again just what a legacy we have as Christ followers. The faith as we know it today was not simply handed to us, but was developed over hundreds and thousands of years. The Scriptures have been studied again and again and again, and the general pattern has been incremental steps forward and often larger steps backward. Sometimes God sees fit to allow the church to take a giant step forward, as in the days of the Reformation, but more often the church has slowly and deliberately developed doctrine that accords to Scripture. Today we have unprecedented access to the Scripture and to resources dealing with the Bible. For this we ought to be profoundly grateful. God Tells Us To: The Bible continually exhorts believers to search out and remember the past. The Old Testament in particular is filled with references to God commanding the Israelites to remember His deeds of the past. He instituted ceremony after ceremony, festival after festival, that caused His people to look to what He had done in the past. Veiled in many of these ceremonies and festivals was a glimpse of what would happen in the future. And so, when we look to the past, we may also glimpse just a little bit of what God promises us in the future. To Understand The Present Climate: Because so much of the history and theology of the church is defined in terms related to error and great difficulty, we should study the past to understand the present. The study of history, when done right, is always a humbling experience. It allows us to understand and sympathize with the plight of those who came before us. It helps us understand the blessings we enjoy today that were not always enjoyed by our brothers and sisters in days past. It also prevents us from developing a view of the faith that is irrationally focused on our day and ignores the long, storied history of the church. To Understand the Future: History is not just a study of the past in an attempt to understand the present, but is also an attempt to understand the future. When we see the patterns of days gone by, we can begin to formulate ideas about where current trends will lead. By understanding the past we begin to understand the future. To Understand Providence: As Christians we are often guilty of dwelling in the present and looking eagerly to the future while forgetting all about the past. But to do this is to lose sight of the valuable teaching of the past. In past days God revealed Himself in mighty ways, continually providing for His people through trial and persecution. When we study the past, we can see many of the ways in which God’s providence has been already displayed. This can serve as a valuable teaching tool as we prepare to face trials or persecution in our day. It can and should spur us to greater love and appreciation of God and give us greater confidence in His promises. As He has been faithful to men and women of days gone by, He will be faithful to us and to our children. This assurance gives us great stability in our faith. To Understand Error: In many ways the history of the church is a history of action and reaction. Much of Christian theology has been developed and strengthened in reaction to error and heresy. When we visit the past we can see how error has arisen in the church and we can see which errors have already arisen and have been decided by a consensus of the church. This can be valuable as we face the inevitable error in our own day. Many Christians engage anew in battles over doctrine for which they could receive a great deal of guidance from great theologians of days past. By studying what has happened, we can avoid future errors and even the patterns that precede error. To Understand People: We all enjoy considering who we would choose to sit for a meal with, were we able to select from all the people who are living or have lived in the past. The reality, of course, is that we cannot speak with our heroes who have lived before us. Yet by studying history we can come to know and understand them. We can come to see the parts of their lives that brought glory to God and the parts that brought Him dishonor. We can see what led to their rise to prominence within the church and perhaps the character flaws that led to their downfall. We can learn much not just from history, but from specific people who lived in a period of history. To Understand Endurance: Since Christ left the earth, Christians have lived in anticipation of His return. Those who lived in the first century expected that this event would be imminent. And yet, two millenia later, we continue to wait. As we look to history we arm ourselves with the knowledge that Christ’s return may still be far off. As we see how men and women have persevered throughout the history of the church, we are strengthened with endurance, knowing that we, too, shall be witnesses to Christ’s return when the Father sees fit. No doctrine has received greater attention than the Atonement. And yet, comparing the studies of the present with those of the past, and the emphases of the Bible with those of its interpreters, one begins to suspect that several aspects of the doctrine are not receiving the attention they deserve. This is true, for example, of the horror with which our Lord contemplated his imminent death. A priori, we should expect heroic fearlessness, perhaps even an impatience to return to his Father. Yet this is not what we find. He does eventually enter upon the final conflict with equanimity. But this was not instinctive. It was the product of struggle, the fruit of prayer. The graphic Synoptic portrayals of the agony in Gethsemane make it abundantly clear that the prospect of death was devastating and crushing. ‘His death rose up in appalling terror between himself and his return to God’1 and he prays, with surpassing fervour, that if it is at all consistent with the purpose of redemption he may be spared. The implications of this for Moral Influence theories of the Atonement are serious. For one thing, there is more, far more, in his death than such theories require far more than is necessary if its only purpose is to inspire or conciliate men, or to move them to repentance. Furthermore, our Lord’s experience seems rather to intimidate than to console. If the Lord of Glory, with a conscience void of offence, is appalled, what does the Valley of the Shadow of Death hold for the ungodly and the sinner? Another aspect of the Cross which has been neglected is its sheer ugliness. Christian devotion has romanticized it, preferring the euphonious ‘Calvary’ to the harsh gutturals of the more Biblical ‘Golgotha’, and transforming ‘the place of a skull’ into the’ green hill far away’. It is the position of the sin-offering that our Lord occupies on Calvary, and that whole cluster of events is grim and ugly because sin is grim and ugly. It is grim as an analysis of sin — deicidal in its tendency and restless until it has crucified the Lord of Glory. It is grim as illustrative of the consequences of sin; and it has the paraphernalia of an unearthly conflict to make clear the magnitude of the problem which sin constituted for the Lord God. ‘It is a vile and horrid thing which no one could see without experiencing emotions of disgust,’ so that sin may be the object of our horror and loathing. A third emphasis which has not received the attention it deserves is the fact that the role of Christ on Calvary is a supremely active one. There is an abundance of material in the New Testament to give the lie to these constructions. For one thing, our Lord explicitly asserts that he controls, absolutely, his own destiny: ‘No man taketh my life from me, but I lay it down of myself. I have authority to lay it down, and I have authority to take it again’ (John 10:18). Secondly, that he should die was the very motive of the Incarnation – ‘the Son of Man came to give his life’ (Mark 10:45): it was not an eventuality to which he steeled himself on realising that ‘failure’ was inevitable. Thirdly, ‘To him, his death — whatever may have been its significance — was distinctly present from the very beginning of his ministry.’5 It was in words suggestive of the suffering Servant that the voice from heaven addressed him at his baptism — ‘Thou art my beloved Son in whom I am well-pleased’ (compare Isa. 42:1, ‘mine elect, in whom my soul delighteth’). Then on the very first of three visits made to Jerusalem in the course of his ministry, he tells Nicodemus that ‘the Son of Man must be lifted up,’ must be crucified (John 3:14). And in the same first year of his ministry he predicts a day when ‘the Bridegroom will be taken away’ — wrenched away by a violent death — from the disciples (Mark 2:20). I need not point the relevance of this. The voluntari­ness, and hence the moral significance, of our Lord’s death, depends on it. But it is equally important to maintain that even the impaled and immolated Christ is not simply a helpless victim. The currency of such phrases as ‘the Passion’ tends to obscure the fact that the Cross ‘was the instrument which, in the lowest ebb of his human strength, he wielded with Almightiness, through the Eternal Spirit, as the weapon of his warfare and the means of his victory;’6 He was not simply suffering the will of God. He was doing it. The cross was not a martyr’s stake: it was a theatre of war, the scene of a mighty conflict. Incalculable spiritual power was being wielded. Sin was being rendered impotent, death was being destroyed, the rulers of the darkness of this world were being routed. Dare we attempt an analysis of this activity? Nor must the needs of his mother be forgotten. The sword of anguish passed. Mention may be made finally of the fact that the New Testament seems to go out of its way to emphasise, in connection with the Atonement, the unique constitution of our Lord’s person. ‘He by himself purged our sins’ (Heb. 1:3) ; ‘He is himself the propitiation’ (1 John 2:2) ; ‘the Church of God which he has purchased with his own blood’ (Acts 20:28) ; ‘they would not have crucified the Lord of Glory’ (1 Cor. 2:8). This is of obvious importance for the doctrine of vicarious suffering, caricatures of which too often represent Christ as a third party dragged, almost re­luctantly, into the controversy which sin has occasioned between God and man. The deity of the Mediator forbids such a representation. Our Lord as Law-giver was from the very first a party to the dispute, and what the doctrine of vicarious suffering presents us with is not an arbitrary and externalistic imputation of sin, but a voluntary assumption of the sinner’s liabilities by the offended Creator. Continuing, by the very tendency of his nature, to require an expiation, God provides the expiation — God indeed becomes the expiation. The fact of our Mediator’s deity is important, again, for the question of the precise identity of the sacrifice which he offered. If the New Testament representation is that ‘they have crucified the Lord of Glory,’ and that the Church has been purchased with ‘the blood of God,’ then, clearly, the dictum ‘He offered his manhood on the altar of his Godhead’ is not valid. It was his Self that was offered, his person, his divine person. The price of redemption is ‘God’, ‘the Lord of Glory’. He himself God ‘not similarly, not generically, but wholly, in­dividually, identically’ — is the Propitiation. It is for this reason that forgiveness in the New Testament (and in the Old) is grounded finally not in the indulgence of God, but in his rectitude. This is the glory of such utterances as that of Ps. 51:14, ‘Deliver me from blood-guiltiness and my tongue shall sing aloud of thy righteousness’; of Rom. 3:26, ‘God is just (righteous) in justifying the ungodly’; and of 1 John 2:1, with its suggestion that the advocacy of Jesus is none the less successful for being righteous. These representations make it clear that, in the last analysis, forgiveness is not a sovereign, but a judicial act; that it is eminently righteous, that it is sanctioned — that it is indeed demanded — by the Moral Law. And the reason for this is not far to seek. The blood of God — the sacrifice of the Lord of Glory these justify justification. In the flesh of the Son of God the sins of the Church of God have been condemned, and there is therefore –– the logic of redemption — no condemnation.12 In Christ, they are all that the righteousness of God requires him to require, and for that reason not only may God forgive them, but God may not not forgive them. It is to the divine fidelity (1 John 1:9) that the eloquence of the Atonement is ultimately addressed. ‘Who is he that condemneth? It is Christ Jesus that died’ (Rom. 8:34). R. W. Dale, The Atonement, 1900, p.58. A. Smellie, Men of the Covenant, 1960, p.98. D. M. Baillie, God Was in Christ, p.183. Hugh Martin, The Atonement, 1882, p.250. S. J. Stalker, The Trial and Death of Jesus Christ, 1894, p.214. R. H. C. Moberley, Atonement and Personality, 1901, p.116. The structure of that famous benediction follows a common Hebrew poetic form known as parallelism. There are various types of parallelism in Hebrew literature. There’s antithetical parallelism in which ideas are set in contrast one to another. There is synthetic parallelism, which contains a building crescendo of ideas. But one of the most common forms of parallelism is synonymous parallelism, and, as the words suggest, this type restates something with different words. There is no clearer example of synonymous parallelism anywhere in Scripture than in the benediction in Numbers 6, where exactly the same thing is said in three different ways. If you don’t understand one line of it, then look to the next one, and maybe it will reveal to you the meaning. We see in the benediction three stanzas with two elements in each one: “bless” and “keep”; “face shine” and “be gracious”; and “lift up the light of his countenance” and “give you peace.” For the Jew, to be blessed by God was to be bathed in the refulgent glory that emanates from his face. “The Lord bless you” means “the Lord make his face to shine upon you.” Is this not what Moses begged for on the mountain when he asked to see God? Yet God told him that no man can see him and live. So God carved out a niche in the rock and placed Moses in the cleft of it, and God allowed Moses to see a glimpse of his backward parts but not of his face. After Moses had gotten that brief glance of the back side of God, his face shone for an extended period of time. But what the Jew longed for was to see God’s face, just once. The Jews’ ultimate hope was the same hope that is given to us in the New Testament, the final eschatological hope of the beatific vision: “Beloved, we are God’s children now, and what we will be has not yet appeared; but we know that when he appears we shall be like him, because we shall see him as he is” (1 John 3:2). Don’t you want to see him? The hardest thing about being a Christian is serving a God you have never seen, which is why the Jew asked for that. Excerpt taken from “The Curse Motif of the Cross” by R.C. Sproul in Proclaiming a Cross Centered Theology. The role of a husband is an ever-shifting endeavor that often takes the shape of marital needs. Our number is often called to take one of many positions – provider, protector, councilor, consoler, comedian, errand-runner, car-fixer, and more. However, there is a central role the faithful husband should pursue, that undergirds all the other positions he may fill – the role of theologian. The story takes a heartbreaking turn as the woman looked on the fruit with desire. So, with cosmic consequences, she took and ate. Moreover, after she ate, she turned to her husband and served him the fruit that leads to death. There’s much that can be—and has been—said about this tragic scene in history. Yet, a pertinent aspect to the present discussion is that a theologically aware husband could have intervened. Admittingly, this is a hypothetical, yet just imagine Adam standing up at the beginning of the dialogue declaring to Eve that God, who so graciously gave them one another along with the Garden in which they reside, is their portion. Imagine him, acting as a faithful husband, calling Eve’s actions into conformity with what she knows – that God is good and would never lie. While we’ll never know if this hypothetical situation would have changed the disastrous outcome of the Garden, the moral of the story remains: a proper understanding of God and his ways should have informed the decision of the first husband and wife. Likewise, in our day, husbands should seek theological awareness—and obedience to that knowledge—for the good of their marriages. Husbands, your wives, like Eve, are going to be bombarded by lies. Day in and day out. She is going to be told things that are contrary to the gospel of Jesus Christ. The world will fill her ears of falsehoods that she needs to look a certain way, say certain things and have certain items. She will be told that if she doesn’t meet a flawed society’s view of femininity, that she has little or no worth. These lies will come from friends, co-workers, family, and oftentimes, her own mind. Nothing is safe from deception; her value, dignity, and assurance in God’s Kingdom will be in the crosshairs of duplicity dressed in desire. There is a central role the faithful husband should pursue, that undergirds all the other positions he may fill – the role of theologian. When the storm of lies washes upon your wife, many tools in the husbandry arsenal will help you lead her well; theology must be one of them. When the culture tells her that she has little worth because she is lacking in some misconstrued area; you can assure her that because of her union with Christ, she lacks nothing and that every good thing she needs has been secured for her in the life, death and resurrection of Jesus. When she’s tempted to listen to the feedback loop of lies in her own head about the ways in which she’s not good enough, you can assure her that her justification isn’t in her performance, but in the merits of her great High Priest. When that one besetting sin she struggles to mortify shows its face again, you can point her to the atonement of a murdered Son who took on flesh on her behalf. We should not be mistaken, a man who has all of his theological ducks in a row is not guaranteed to be a gifted husband. Instead, what we argue for here is simply that husbands who are thinking clearly about theology position themselves to have a unique ability to point their brides to the splendor and comfort of the Rock of Ages. Husbands, your wives need you to deeply know the Lord and his ways. She needs you to have thought critically about the gospel. She needs you to have sat in awe at the glory of Christ and be prepared to love her in, and with, truth. Strive, therefore, to be the husband-theologian your marriage calls you to be. Dozens have shared similar confessions with me. Does this resonate with you? What guilt do you bear? What burdens are you carrying because you can’t forgive yourself? If Christ has forgiven you, do you also have to forgive yourself? Many are trapped because they can’t forgive themselves. My friend isn’t alone. And she feels trapped. Because she’ll never hear her mother offer her forgiveness, she feels like she can’t release herself from guilt. Why can’t you release yourself from your sin? Is it because the weight is too much? Because you know you haven’t changed? Because the ripple effects of your sin can’t be reversed? I have good news—such good news. You don’t need to forgive yourself, because you can’t forgive yourself. I know, this answer sounds foreign. Our contemporary therapeutic culture tells us that self-forgiveness is not only a category of forgiveness, it’s actually the most important of them all. Writing in Psychology Today, psychotherapist Beverly Engel says, “I believe that self-forgiveness is the most powerful step you can take to rid yourself of debilitating shame.” But here’s the vital question for Christians: Can you point to one example in Scripture of someone forgiving themselves? There is no category of self-forgiveness in the Bible. And what a freeing truth! Your shame and guilt does not depend on your ability to forgive yourself. There are two—and only two—biblical categories of forgiveness: others’ forgiveness and God’s forgiveness. Horizontal and vertical. It’s not enough to ask forgiveness from God; we must also ask forgiveness from those we’ve injured. As important as horizontal forgiveness is, even more fundamental is vertical forgiveness, which comes from God alone. After committing the heinous double sin of adultery and murder against Bathsheba and Uriah, David cries out to God: “Against you, you only, have I sinned!” (Ps. 51:4). How can David say this? Is he minimizing his horrifying sins against Uriah and Bathsheba? David realizes that as awful as his sin is horizontally, it’s much worse vertically. He has profoundly offended his Creator—and the Creator of Uriah and Bathsheba—by devaluing one life and snuffing out another. He has offended his righteous, covenant-making God with his wicked, covenant-breaking actions. But you know what David never walks through? The process of self-forgiveness. He doesn’t entertain for a second that he must forgive himself or that, once he’s sought forgiveness from God, he must self-flagellate to fully release himself from his sin. In fact, David would probably shock modern therapeutic sensibilities with how quickly he feels release. He admits that, once forgiven, he will have the audacity to sing: “Deliver me from bloodguiltiness, O God, O God of my salvation, and my tongue will sing aloud of your righteousness” (Ps. 51:14). Have you experienced such freedom? Have you ever felt the complete forgiveness of God so deeply that you had to sing with joy? Vertical forgiveness allows you to experience the power and release that comes through the cross—and then it sends you back to the horizontal, where you are made right in community. Dear fellow sinners, does guilt plague you? Seek forgiveness from those whom you have sinned against. Seek forgiveness from God your Rescuer, who has purchased your salvation through the death of Jesus. And then sing! Celebrate your forgiveness. Enjoy your freedom. John Beeson serves as associate teaching pastor at New Life Bible Fellowship in Tucson, Arizona. He attended Gordon College and Princeton Theological Seminary, and is married with two kids. I said, “Don’t you see that if you complained to me on the basis of Christian ethical standards that things would be different? If your mother is provoking you to wrath and is being thoroughly insensitive to you as a person, then I would have a foundation upon which to stand with you. I could defend your cause against your mother.” At that point, he started getting interested in the Christian faith. Of course, the point of the illustration is that the young man knew what he didn’t like, but he hadn’t thought it through. He wanted to come to the conclusion that there is no basis ultimately for ethics, but he couldn’t live in that domain. And that is the point that even a non-Christian philosopher such as Immanuel Kant made, namely, that life ultimately is impossible without God, without justice, without life after the grave. The bottom line is this: if there is no God, if there is no life after death, then ultimately all of our ethical decisions are absolutely meaningless. That’s a true and inescapable conclusion. If we think about it, it’s the only conclusion we can reach if we have absented God from our thinking. The only alternative to an absolute ethic is a relative ethic. We cannot have an absolute ethic without a personal Creator. To confess that God is Creator is to confess that we are not cosmic accidents, devoid of ultimate value. We came from somewhere significant and we are headed toward a destination of importance. Mechanistic determinists and hyperevolutionists say that the human animal is the highest advance up a scale of life that emerged out of primordial slime. Humanity, the grownup germ, is the result of accidental cosmic forces, and the destiny of the human race is at the mercy of these indifferent, impersonal forces. This view does not leave us in total darkness about the goal of human existence, nor does it point us in the direction of significance. What began in the slime is destined for organic disorganization or disintegration. The mechanistic view offers no understanding of the meaning of life. Attempts have been made to develop a sense of mechanistic ethics. All have failed. Why should germs be moral? If I am a cosmic accident, why should I “give a tinker’s dam” about you? Why prefer life over death? What is so special about life? Why should a human being be valued over a stone? Modern versions of secular humanism embrace this mechanistic or evolutionary description of our origins, and yet it does not follow through with the inevitable conclusion. Yes, all forms of humanism share a concern for humanity and its well-being, but apart from God there can be no lasting, permanent foundation for such a concern. Both Christianity and humanism seek the healing of estranged relationships, and both honor the dignity of the human being. However, their bases for dignity are radically different. The Christian sees the horizontal, interpersonal relation as inseparable from the vertical relationship with God. To remain at the human, horizontal level is to neglect the path toward eternal human significance. To establish human dignity without acknowledging the God of creation, the humanist must act in an arbitrary and irrational fashion. If humans rose by chance from chaos, why should dignity be ascribed to them? Since the advent of the Christian faith, humanism has constantly incorporated Christian values and ethics while ripping the heart out of Christianity’s theological context. Yet that context is the only reason the values and ethics make sense. As a representative human, I resent the moral demands if someone tells me I “ought” to do this or that, without giving me any reason. Humanists have for no reason made dignity and value the “givens” of human experience. To be sure, our experience agrees with their assessment. It screams that life is valuable and that each person is a creature of immense worth and dignity. That scream is hollow, however, if it comes from a germ with no destiny but death. Christianity teaches that human dignity is rooted in the holiness of God; it reflects God’s dignity. That is because human beings are made in the image of God (Gen. 1:27). The Creator, who possesses infinite value and worth, has stamped us with a value and dignity that is derivative of His own value and dignity. Lose that idea, and you have lost any transcendent, foundational reason to treat human beings any differently than you treat a dog, a dolphin, or even a weed. It is no accident that the two greatest commandments are love of God and love of neighbor (Matt. 22:34–40). You cannot have the latter without the former and those who truly have the former will also have the latter, for if we love the God of infinite dignity, we will also love people because they reflect, however imperfectly, His dignity. Our notions of dignity are ultimately based on God’s dignity and our being made in God’s image. Thus, we apply titles of dignity to people, but not to animals or other elements of creation. John Smith appears to sound more important when he is called “Dr. Smith,” “the honorable Congressman Smith,” or “President Smith.” But “Germ Smith” just doesn’t have the same ring. People do not build monuments to germs. Few people grieve when a fly dies. This is not just a semantic or historical matter. The value difference between humanist and creation visions of human worth has profound significance. Martin Luther King Jr. did not give his life to advance the cause of equal civil rights for black germs. Many thousands now work tirelessly in the right to life movement, but not to save the lives of preborn viruses. Although at the gut level we automatically assume the dignity of human beings, it is pure nonsense apart from creation. If you call me to sacrificial, altruistic action in behalf of human beings, you better have a reason. And it should be greater than simply, we should be for people because we’re people. Because unless we can establish that it means something to be people, it’s pure emotion. And rights granted on the basis of pure emotion ultimately unravel. What emotion gives, it can also take away. But if our human dignity is given by God and that is recognized by our culture, then we have fundamental human rights that inform how we treat other people under the law and even one-on-one at the personal level. Portions of this post are taken or adapted from What We Believe by R.C. Sproul.